The combination of low profile baseboard design and highly efficient chimney effect maximizes the installed watts per foot without excessive grille temperatures. The custom engineered internal baffling efficiently dissipates heat to maintain a uniform grill temperature. Trivolt Floor Heaters are custom designed and manufactured to match customer requirements for space and wattage. Baseboards can be built with integral fans to increase airflow allowing for higher wattages when required. 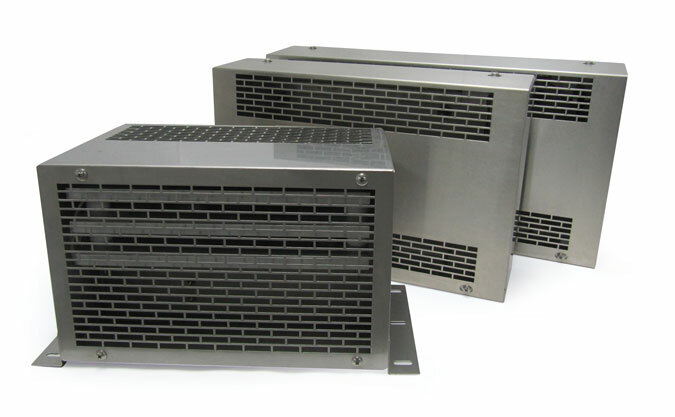 Trivolt designs meet or exceed new Railway grille temperature requirements of 125 deg. F.
Trivolt proprietary Aluma-Heat® heating elements are integrally mounted with Teflon bushings to allow for expansion and eliminate noise. Integrated high temperature thermal cutouts ensure the safe operation of Trivolt heaters under any operating situation. Single or multiple heating stages. 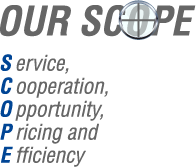 Any standard worldwide voltage at one or three phase. Trivolt heaters can be assembled with customized wire leads and connectors or internal customer connection points. 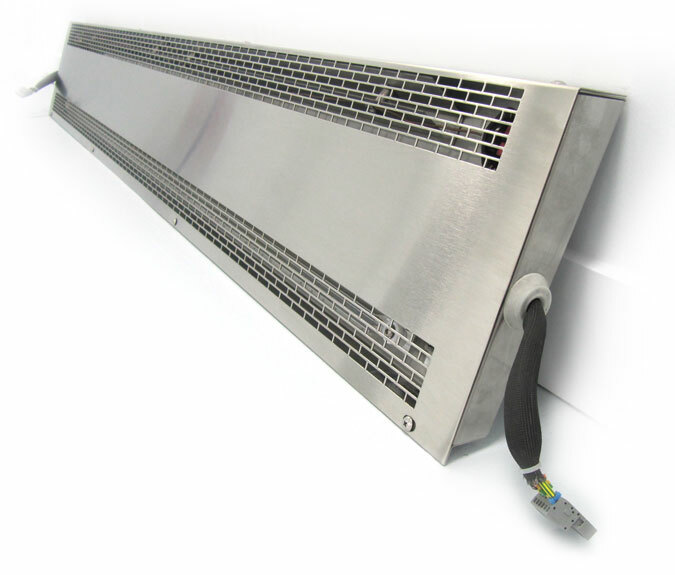 Trivolt Floor Heaters can be designed as a retrofit for railcar refurbishment applications or entirely new sleek architectural designed cabinetry.